For '99-'04 Scarabeo 150 OEM Parts & Diagrams Click Here! For '03-'06 Atlantic 200 OEM Parts Diagrams Click Here! Genuine Aprilia right side rear fairing for '03-'04 Atlantic 125, 200, and 250. This M6 Riv Nut tool is designed to install the OEM Aprilia Riv Nuts into the subframes of Aprilia motorcycles and scooters. 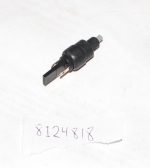 This brand new genuine Aprilia left front turn indicator is a direct replacement for '99-'05 Scarabeo 125, 150, and 200. This brand new genuine Aprilia right front turn indicator is a direct replacement for '99-'05 Scarabeo 125, 150, and 200. 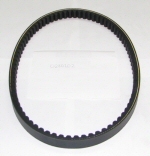 This genuine Aprilia V-belt is designed for the '99-'05 Scarabeo 125, 150, and 200. It is also compatible with European market Leonardo 125, 150 and 200.